​Pounding beats and organic undertones create a unique, tough as nails sonic mix, while anthemic gang vocals join quirky electro-country flourishes, banjo and guitar shredding. Produced once again by Jay Joyce (Eric Church, Brothers Osborne), frontman Brandon Lancaster and drummer Tripp Howell teamed up for the co-write. and it continued to find life with the rest of the band as they worked it up during soundcheck in the following days. “There’s so much pressure to be like someone else or to live up to some outside expectation, especially with social media and how perfect it makes everything look,” explains Lancaster. “We wrote this song from the perspective of no matter where you come from, be proud of who you are and the way you’re creating your own path. it’s about sticking up for what you believe in and having that crew of friends around that will always have your back,” Howell adds. 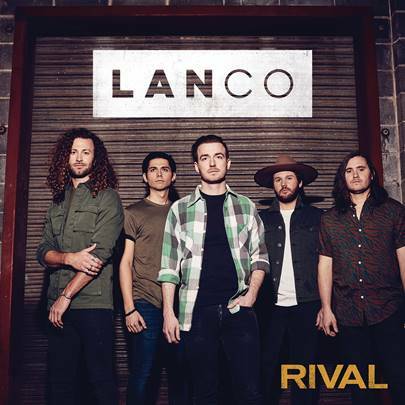 LANCO return to the UK for a headline tour in May, and have recently been announced for The Long Road Festival in September this year.